Bandon Family Health Day: Calling all Superheroes! 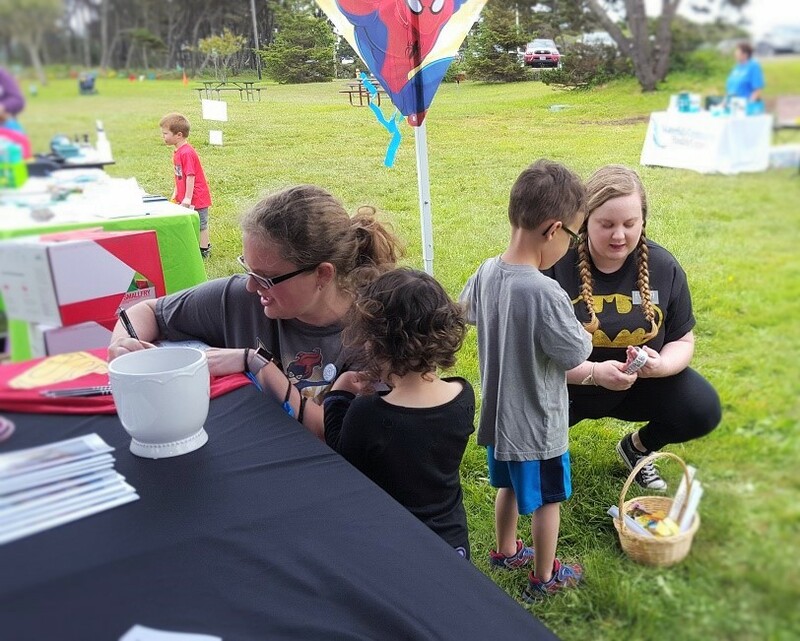 Fun and fitness that’s what people of all ages experienced at the Bandon Family Health Day, “Calling all Super Heroes!” on Saturday, June 3rd at the Bandon City Park. 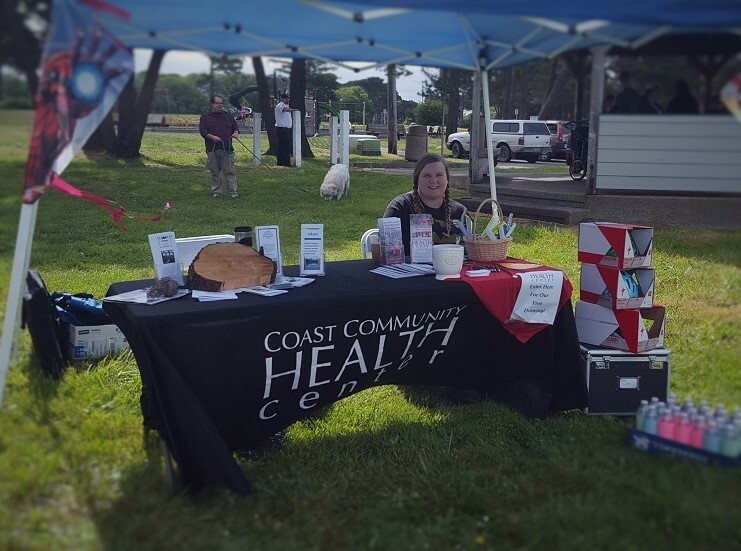 Coast Community Health Center partnered with Southern Coos Health Foundation to help put on their first annual health fair. The event kicked off with a fun run and walk and the fitness continued throughout the day with exercise demonstrations from Fast & Fit Circuit Workout instructors which included dance aerobics, pound, and kickboxing. Children, teens, and adults participated in the healthful activities which also included a slackline walking rope that challenged the balance skills of all ages! 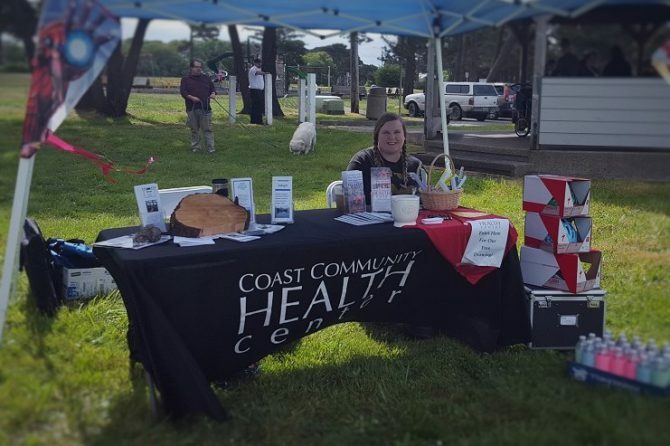 The good times included fifteen vendors from community partner organizations ranging from a Bullard’s Beach Park Ranger, Emergency Preparedness, and 211 to our region’s Federally Qualified Health Centers: Waterfall and Coast Community Health Center. 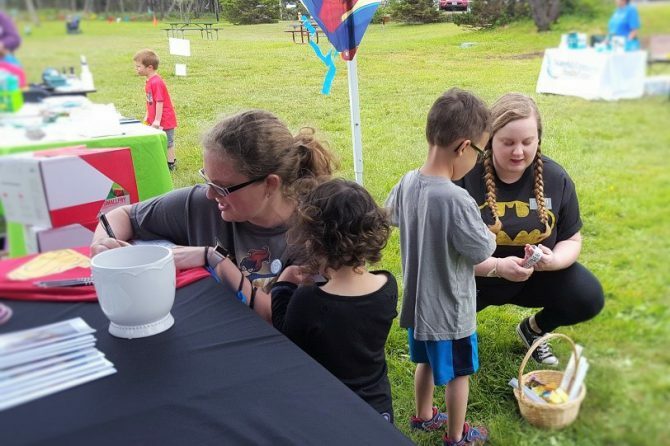 Coast Community Health Center provided kids with a fun “water bottle ring toss”, a drawing for three bicycle helmets, as well as information about our services, and our growing partnership with ADAPT, who utilized a portion of the table. The event also included health screenings inside The Barn Community Building as well as Tai Chi for Better Balance classes. Participants could complete their “health passport” by visiting the various screening booths and a completed passport earned a chance in the Foundation’s Grand Prize drawing. The day concluded with a costume contest for children, families, and pets in which local high school students volunteered as judges and 2016 Cranberry Court Queen awarded prizes. It was a fun-filled day supporting the health and wellness of the community.